Raccoons can be found throughout the U.S but are most common in the wooded eastern portions of the country than in the more arid western plains. Raccoons are rarely seen during the day because of their nocturnal habits. 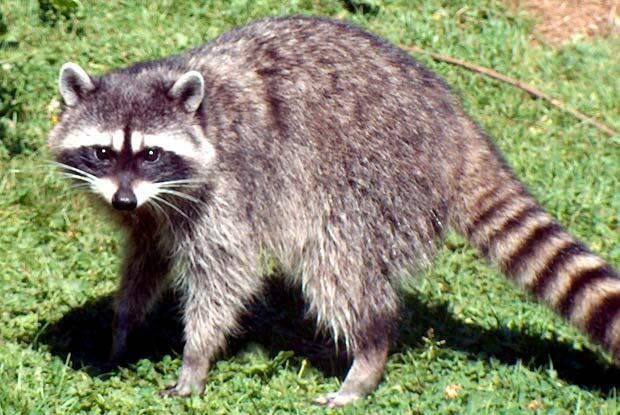 Raccoons are a major host of rabies in the U.S and their population is rapidly increasing. They can also cause property damage around homes and outbuildings, especially when they try to enter homes through attics or chimneys, which they are also known to use as denning sites. In some cases, raccoons have torn off shingles or boards to gain access to an attic or wall space. Raccoons often raid garbage cans in search of food, and sometimes kill poultry, destroy bird nests, and damage gardens or crops. A licensed professional at Portland Pest Guard would identify the problem and use the appropriate products to properly extinguish these critters.